When you have been together for 28 years, as Janet and I have, the record collection becomes a blend of yours, mine and ours. I’ve been going through the Christmas vinyl and have found a few surprises. We have Barbra Streisand’s 1967 Christmas album. It isn’t mine. Janet insists it isn’t hers. OK, we’ll give her the benefit of the doubt and say it belonged to her parents. We also have Reba McEntire’s 1987 Christmas album. That isn’t mine, either. Janet says it must have been a review copy that came to the paper. OK, I’ll go with that. I can’t imagine we would have bought it. Tonight’s side on The Midnight Tracker also comes from one of Janet’s albums. “Green-Eyed Lady,” Sugarloaf’s jazzy and memorable single (I’m still not sure if I prefer the 3:40 concision of the single to the 6:50 running time of the album track or not) was in descent, falling from No. 15 to No. 25. For all these years, all I knew of Sugarloaf was their two hits — “Green-Eyed Lady” and “Don’t Call Us, We’ll Call You” in 1975. 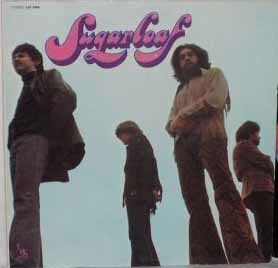 Then, not too long ago, I dug out that old Sugarloaf album — their self-titled debut album from 1970 — and gave it a spin, curious to hear what was beyond “Green-Eyed Lady.” I enjoyed it. Side 1, which we have for you tonight, starts with that longer version — which I prefer to the radio edit — then offers a couple of interesting covers. The second cut is a cover of a cover, “The Train Kept A-Rollin’ (Stroll On),” from Tiny Bradshaw via the Yardbirds. It’s discussed in more detail over at AM, Then FM. The third cut is a 9-minute instrumental medley of “Bach Doors Man,” a Bach-inspired original, and a cover of The Band’s “Chest Fever.” It’s classic ’70s jamming, led by keyboard player Jerry Corbetta. I was sitting around (Denver) writing songs when Jerry Corbetta asked me to join Sugarloaf. They were unknown nationally but making good money locally without a record. They had just been signed to a record deal on United Artists and needed a songwriter. When Sugarloaf’s first album came out, one song that barely got on the record became a huge hit. The song was called “Green-Eyed Lady.” I didn’t sing, write or play on that album because the record company wanted to release the demo tape as finished product. 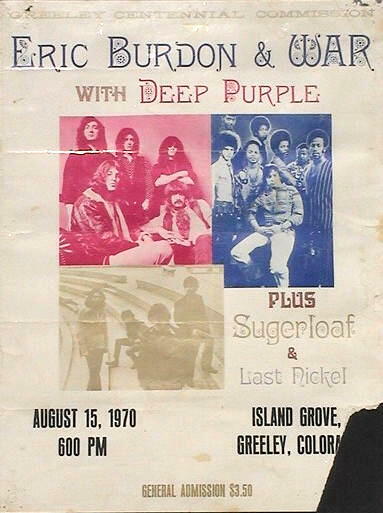 The band’s name was Chocolate Hair at the time, but the record company thought it was racially incorrect so the name was changed to Sugarloaf. We didn’t get much airplay locally, but in Portland, Oregon, a disc jockey played it, people called in requesting it, and the record slowly became a hit in the Northwest area. Eventually the song became a huge hit nationally peaking at Number 3 on Billboard, and as a result we toured with and opened for many great acts. Indeed, they did. Here, from Yeazel’s history of the band, is visual proof. And this is from when Sugarloaf was just getting going. “Green-Eyed Lady,” “The Train Kept A-Rollin’ (Stroll On)” and “Medley: Bach Doors Man and Chest Fever,” Sugarloaf, from “Sugarloaf,” 1970. It runs 18:02. This entry was posted on November 20, 2007 at 11:08 pm and is filed under November 2007. You can subscribe via RSS 2.0 feed to this post's comments. Now this is spooky: driving home tonight I got the classic AM bleed-over from some out-of-state station and they played both of the Sugarloaf hits , followed by another of my favorites of the day, Dr. Hook’s Sylvia’s Mother. I don’t think it was a Wisconsin station I was hearing, but you never know! Have a good Thanksgiving Jeff, and I really enjoy this blog also. Great blog! I’ve just started digitizing some of my old vinyl, and I’ve really enjoyed reading your posts. Always liked Green-Eyed Lady. It would be great if you set it up so readers could play the files, instead of having to download first. I have always loved “Green-Eyed Lady”; it just stuck out to me because it was such an unusual track at the time — so different from the sugar-sweet diabetic’s-nightmare that was on the radio…I was always more into black/soul music, Motown, etc. My family thought I was crazy (HA HA, everybody I liked is now considered “legendary”)!! Forgot to tell you — I have a daughter named Robyn who has green eyes — I used to play this song all the time in her honor!! She truly is my “Green-Eyed Lady”! !